I love Bullet Journaling to increase productivity. I especially love how this style of planning allows you to be creative and artsy, or simple and minimalistic. Everyone has their preferences and there is nothing wrong with that. That being said, this post is going to bring Bullet Journaling back to the basics to increase your productivity. Hi, everyone! Elizabeth here from Jihi Elephant. It’s easy to get caught up in creating a beautiful artistic layout at the expense of productivity. 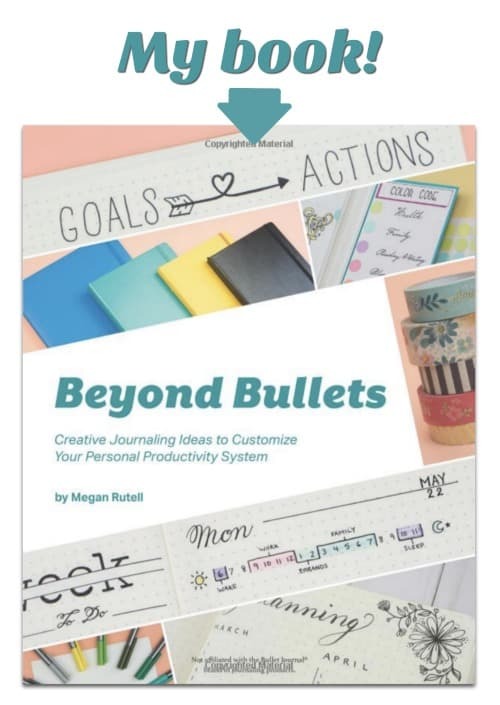 Essentially, Bullet Journals are planners or agendas. Their goal is to organize information and provide a platform for time management to occur while being completely customizable. That’s the perk: its customizable, and I love that! But this post is going to remove all the artistic components and talk about the use of very basic layouts in a Bullet Journal to increase productivity. The first page we will be talking about is a key. There are a million different ways to create a key page. You can use washi tape, various colors, creative symbols, etc. But for greater productivity; those details don’t really matter. The most important part of a key is that you use it. No matter how basic or creative your key is, if you don’t use it, it’s pointless. A key’s purpose is to help you organize your information. The absence of a key is the absence of organization. For some people, a key is best remembered if it’s written down. For others, a key can be remembered mentally. There is no perfect way, just have one and make it universal. For example, across all my planners, calendars, and journals the color green represents work and a dash (-) represents a note that does not require action. An index is often just as important as the key. Again, an index can be created many different ways and doesn’t necessarily need its own page. Sometimes an index can draw from the colors designated on a key, other times it can be simple tabs on the pages of your journal. 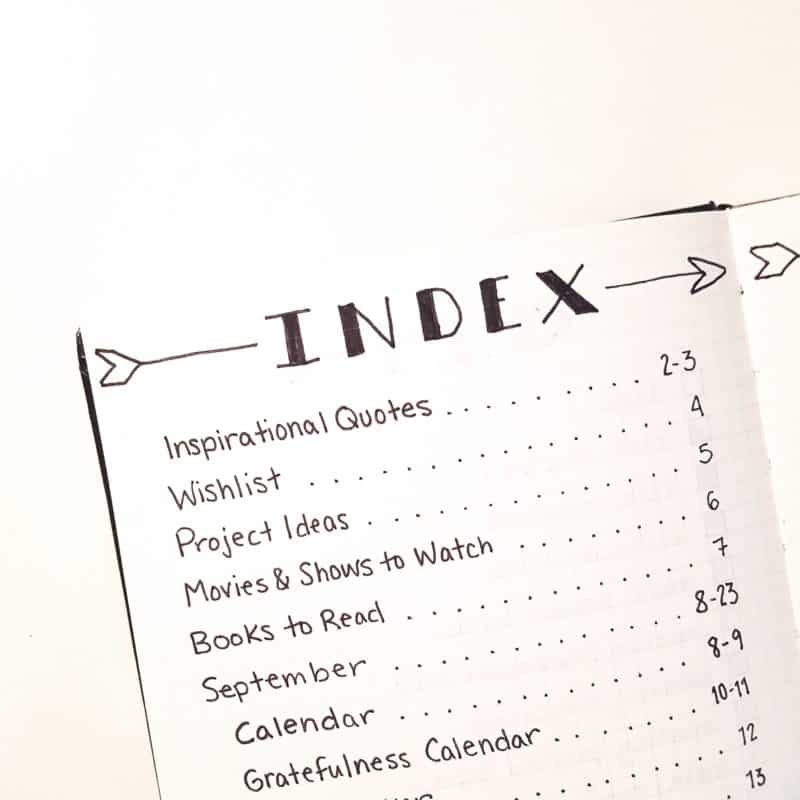 Regardless of how you create your index, an index is meant to help you find what you are looking for in your journal as quickly and productively as possible. This is important! How can you be productive if you spend half your time trying to find what you’re looking for in the first place? A goals page is not a necessity, but it is incredibly helpful for productivity. Without an end goal, how do you know where to go and how to get there? A goal page is super customizable because the nature of my goals are bound to be very different from the nature of your goals. 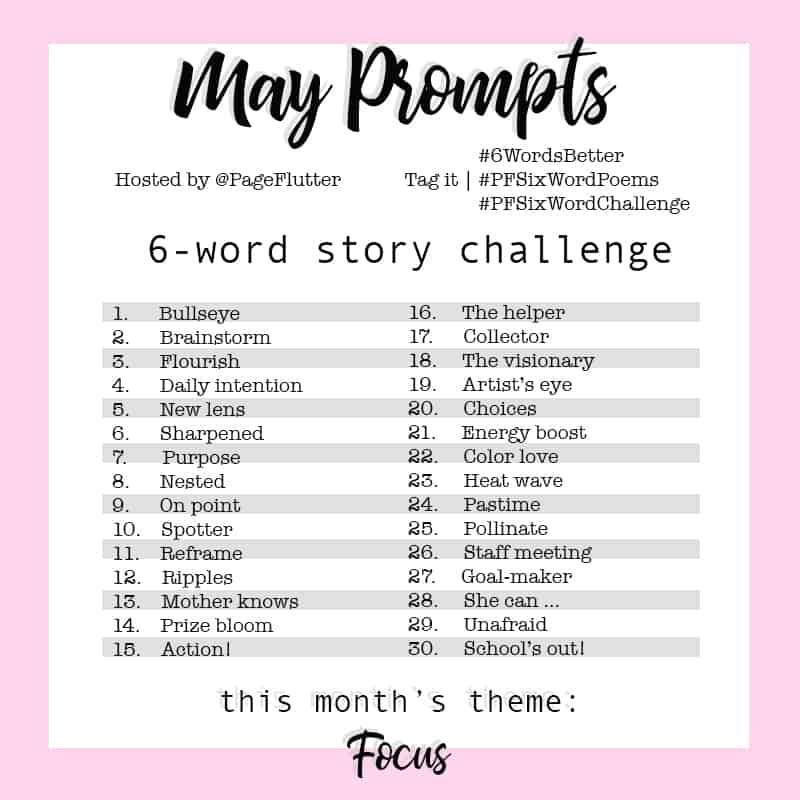 I suggest checking out Boho Berry’s post How to Organize Your Goals + Get Things Done or Page Flutter’s Essential Guide to Goal Setting for some more specific inspiration. The purpose of a goal page is to give purpose. 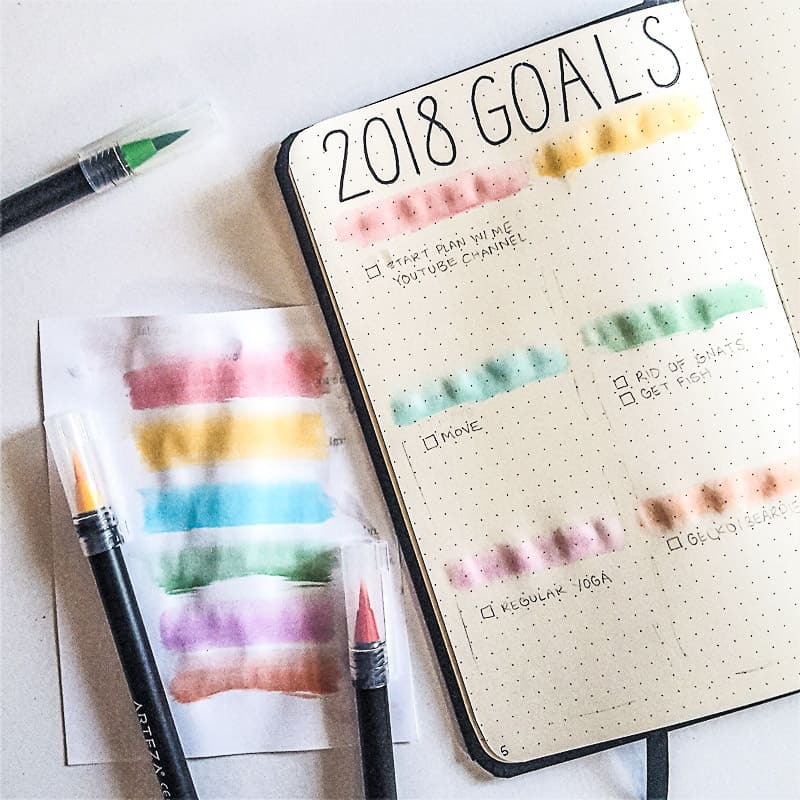 A more specific goal page or a tracking page might outline the means to reach the goal or track your progress toward a goal. Goal pages can be yearly, monthly, weekly, and even daily—there really are no limits. A goals page is incredibly useful in increasing productivity because it directs one’s actions, thus, reducing chaos. 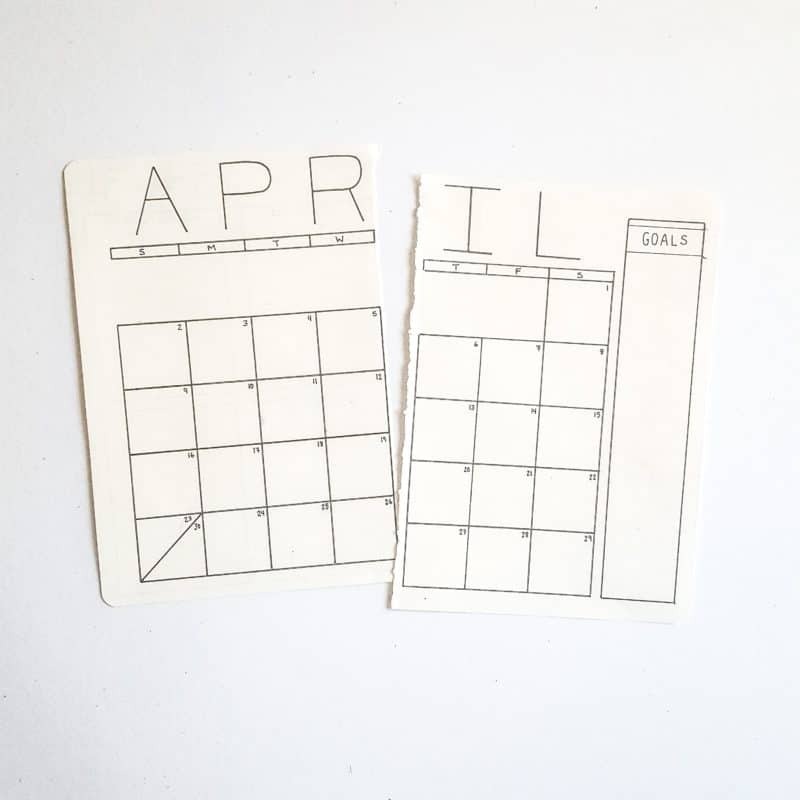 A monthly calendar is what you make it, but it essentially outlines events, important due dates, holidays, vacations, etc. for the whole month. Having a monthly page or calendar for each month is helpful in providing a general idea of what you have going on. Having this big picture keeps you from getting behind and allows for more realistic planning on a weekly level. Naturally, a weekly or daily layout takes information from your calendar and places it under a microscope. This layout breaks down your due dates and events into task lists, agendas, to-dos, etc. All of this prevents you from forgetting the things you need to get done. It also organizes it in a way that increases your productivity. The layout and form taken by a weekly or daily page are completely unique to each user. 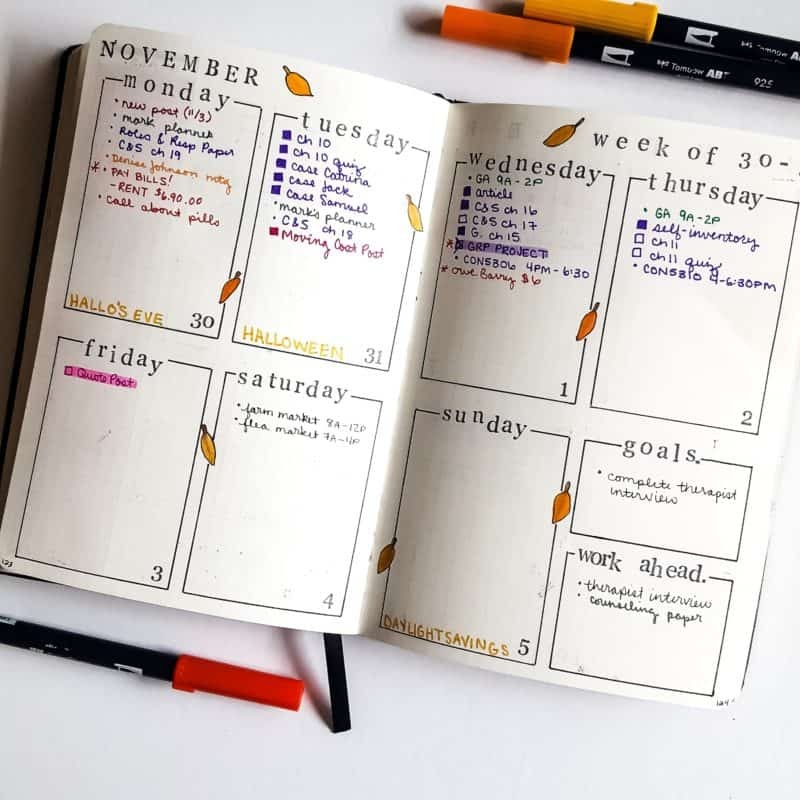 How I use my Bullet Journal to increase productivity may be entirely different from how you keep your life organized. Regardless, the goal is to have everything laid out so that you can see it and check items off your lists as you go. The more things you get checked off your lists, the more motivated and productive you are likely to become. Your journal can consist of only a few types of pages to dozens of page-types, it’s entirely unique to the user. No matter how pretty or simple you make your Bullet Journal pages, it is essential to remember the purpose and basic quality of the pages. If the purpose is lost, productivity will become chaotic and muddled. I hope these brief page descriptions help inspire your Bullet Journal layouts to come! Your turn! 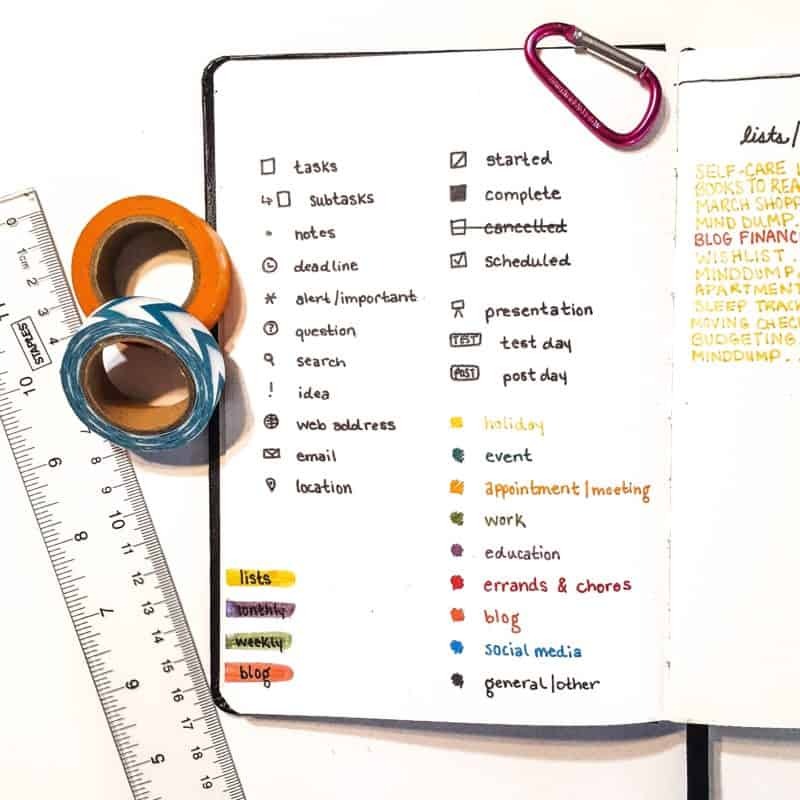 How do you use your Bullet Journal to increase productivity? Do you favor a more decorative approach? Comment below to weigh in with your thoughts! I have been using a bullet journal for a couple years now and don’t ever keep up with the highly decorated pages. If I can draw it with a ruler it will work for me best. I love that you have a shout out to the weekly spread as well as the daily. The weekly spread gives me the chance to plan my week rather than reactivity respond to requests. Great article – thanks! That is awesome, sometimes a simple ruler-drawn spread is what we need for sure! Yeah, the weekly and daily spreads are equally as useful and also very different. Glad you enjoyed!